Angel Love Orchid and Gem essence spray contains Magenta Cattleya, green Dendrobium, Paphiopedilum liemanum, Phalaenopsis Sweet Memory and pink Vanda orchid essences, and Danburite, Dioptase, Emerald, Eudialyte, Erythrite, Fire Agate, Fire Opal, Larimar, Magnetite, Malachite, Morganite, Rhodochrosite, Rhodonite and Rose Quartz gem essences, together with the luxuriant, heart-warming, nurturing and sensual essential oils of Rose, Jasmine, Ylang Ylang, Rosewood, Patchouli, Vanilla, Palo Santo and Mandarin. KEYWORDS: Loving, attracting love, self love, self-acceptance, loneliness, feeling betrayed, heartache, comforting, understanding, compassion, completeness, contentment, guidance, nurturing, forgiveness, self-worth, sensuality, partnership, domestic harmony, restoring trust, emotional pain, fear of loving, fear of sexuality, sexual endeavours, finding a soul mate, deep change. The Archangels of the pink and green heart chakra rays, Haniel and Raphael, encourage, inspire and guide each one of us to look for ways of connecting with the right person to form a love relationship, so that we can be happy, contented and healthy. Therefore this Angel Love essence and essential oils spray combination is primarily designed for attracting love, promoting self-love and mending emotional wounds of the heart. The spray has a warm floral, nurturing and sensuous fragrance, with top notes of Jasmine, Ylang Ylang and Vanilla. It can be worn on the inner wrists as a sensual perfume, as well as for its therapeutic purposes.The Archangels Haniel and Raphael stress the importance of loving and respecting oneself in order to attract a partner who will respect and hold you in high esteem. Often a lack of love in childhood leads to a loss of self-worth, and a deep neediness in adulthood for the love not given during the formative years. The Angel Love spray facilitates a deep change to help one leave that past behind. The essences and oils open, purify and balance the heart chakra on all levels, to overcome inner-child emotional damage, heartache and the effects of emotionally detrimental relationships. The spray promotes self-love, self-worth, self-belief, self-acceptance, self-forgiveness, trust, a healthy self-image, commitment, loyalty, unconditional love and respect of a partner, which are so helpful in attracting and maintaining a successful love relationship. Larimar gem essence, in particular, facilitates contact with other realms to help those seeking a soul mate.The spray also dispels feelings of grief, betrayal, emotional hurt and the pain of abandonment, that can lead to fear of starting new relationships, over-cautiousness, mistrust, self-destructive tendencies and sexual hang-ups. Angel Love spray also releases past traumas, especially sexual ones. It encourages attraction to the right partner, instils a positive outlook, and promotes progress towards normal sexual endeavours and behaviour. Angel Love Spray promotes domestic harmony, discourages unhealthy over-attachment and breaks unwanted ties and outworn patterns of behaviour.Angel Love Orchid and Gem Essence Spray links to the sexual organs, body fluids, blood vessels, blood pressure, heart, circulatory system, chest, heartbeat, lungs, vertigo, fertility, joints, thyroid, shock and trauma. Directions for use: - This is a pure, powerful combination of orchid and gem essences with essential oils. It is not necessary, and is also wasteful to use it as a spray all around your aura or body. Put just a little Angel Love Spray on one wrist. Rub the wrists together and then hold them under your nose, whilst you take three slow breaths in and out through your nose. If you prefer, you can squirt a little spray on your crown chakra, holding the intent of easily being able to connect with the right person to form a love relationship. Avoid getting any of the spray in the eyes, mouth or other sensitive areas of the body. You can also use the spray on pulse points just as a sensual fragrance, but make sure that you are not over-sensitive to the natural essential oils, by first trying the spray out on your inner wrists. If you experience any itchiness, redness or inflammation of the skin, wash the spray off immediately with a little gentle soap and lukewarm water. When not in use, you can place the Angel Love spray bottle by your bed or in the relationship corner of your home, which is the furthest right hand point away from your front door, with the intent of attracting the right person for a love relationship towards you. Balance spray is a combination of orchid and gem essences representing every colour of the main chakras. These include Angraecum (white), purple Wanda and Dendrobium, pink Phaleanopsis, green Dendrobium, cream, pink and yellow Cattleya, yellow Cattleya, orange Cattleya and red Rojo Cattleya orchid essences. (There are no blue orchids yet, so white orchid essences have been substituted for the throat and brow chakras) Gem essences in this combination include Scolecite, Sugilite, Sodalite, Kyanite, Larimar, Pink Petalite, Green Aventurine, Green Calcite, Emerald, Healers Gold, Ametrine, Tangerine Quartz, Fire Agate and Red Jasper. Balance spray contains the powerful and unique combination of Benzoin, Champaca, Cassia, Frankincense, Geranium, May Chang, Patchouli, Camphor, Rose and Sandalwood essential oils to rebalance all the chakras. KEYWORDS: Mental, emotional and physical balance, harmony, dynamic equilibrium, grounding and centering, out of sorts, strengthening auric field and boundaries, overcoming setbacks or disappointment, helping one to cope with shock, trauma, accidents or bad news, maintaining clarity and calm in difficult situations, realigning energy centres/subtle bodies after radiation bolts/negative energy sources, promoting a balance of "give and take", learning to balance one's own needs with that of others, self-empowering. The essences included in this Be Inspired Angel Orchid and Gem essence Spray are Phalaenopsis Malibou Stripes, white Phaleanopsis, Orange Cattleya, purple Vanda and yellow Oncidium orchid essences and Amber, Aquamarine, Ametrine, golden Chrysoberyl, Diamond, Crocoite,Fire Opal, Himalayan Gold Azeztulite, Iolite, Moldavite, Muscovite, blue Quartz, Peridot, blue Sapphire, Satyaloka Quartz, violet and orange Scapolite, Selenite, Tanzanite and Vanadinite gem essences.Included in the Be Inspired Angel Orchid Spray are the uplifting, enlivening and clarifying essential oils of Allspice, Basil, Black Spruce, Cinnamon, Honey Myrtle, Lime, Palo Santo, Rosemary and Rosewood. Keywords: - Inspiration, creativity, imagination, motivation, clarity, confidence, focus, sharpening intellect and intuition, aligning higher self with physical mind, enhancing communication skills, opening higher chakras for divine guidance, removing writers block, progress, manifesting goals, drive, organisation, perseverance. This Orchid and Gem Guardian Angel spray is a combination of Dendrobium Emma White, Zygopetalum, Odontoglossum and Cattleya, Amethyst, Black Tourmaline, Fire Agate,Fluorite, Gold, Green Jasper, Jet, Labradorite, Malachite, Obsidian, and Smoky Quartz, Spirit Quartz Staurolite and Zircon orchid and gem essences, together with the gently spicy, but penetrating essential oils of Carnation, Nutmeg, Clove, Lime and Allspice oils. Archangel Michael works through the Indigo ray (brow chakra) and offers his blue cloak of invisibility to shield us from those with negative intentions. He represents justice, strength and courage. In the bible Michael is credited with teaching Adam to how to farm and care for his family. He also spoke to Moses on Mount Sinai. He works through the Indigo ray (brow chakra) and offers his blue cloak of invisibility to shield us from those with negative intentions. He represents justice, strength and courage. This popular Guardian Angel Spray is for protection from negative forces, for instilling a feeling of security and for overcoming fear. It promotes courage when in unsafe places, in the dark, or lost. You can also use the spray if you suffer from fear of the dark or nightmares. The essences included in Hope Spray are Lime Green Dendrobium, Green Laeliocattleya, Yellow Oncidium, Paphiopedilum Liemianum, Yellow Phalaenopsis, Phalaenopsis Sweet Memory, Green Aventurine, Brazilianite, Citrine, Chrysoprase, Garnet, Green Garnet, Green Jade, Heliodor, Honey Calcite, Labradorite, Ocean Jasper, White Precious Opal, Pyrites, Sunstone and Thulite. Also included in this Hope Spray are the cheering, uplifting and balancing essential oils of Lemongrass, Bergamot, Caraway, Fennel, Lemon Eucalyptus, Marjoram, Palo Santo, Peppermint, Pine and Red Spruce. KEYWORDS: Hope, looking forward to the future, overcoming melancholy, sadness, pessimism and doubt, joy, laughter, lightness of heart, optimism, will to live, luck, emotional balance, overcoming self-destructive patterns, realisation of the transience of difficult times. Archangel Jophiel works through the yellow ray (Solar Plexus chakra) to promote confidence, inspiration and optimism. Call upon him to bring you flashes of insight for problem solving. In the bible he was said to be a protector and teacher of Noah’s sons. I am Confident spray dispels worry, self-hate and all kinds of negative, programmed beliefs about one’s self-worth and capabilities. It is especially helpful to use before interviews, tests, or meeting challenges such as singing or sports competitions. It instils hope, joy, vitality, will-power and staying power, as well as the ability to remain calm in a crisis. Do not use this spray if you are pregnant. Please use the I am Confident Angel essence instead. Inner Calm Angel Orchid and Gem spray contains Angraecum, Orange Cattleya, Green Laeliocattleya, Red Miltonia, White Phalaenopsis, Pink Mad Milva Phalaenopsis, Yellow Phalaenopsis and Purple Wanda orchid essences, and Amazonite, Amethyst, Aventurine, Blue Lace Agate, Orange Calcite, Crimson Cuprite, Dioptase, Golden Beryl, Jet, Kunzite, Larimar, Lepidolite, Heliotrope, Obsidian, Onyx, Rhodochrosite, Rhodonite, Rutilated Quartz, Scolecite, Smoky Quartz, Sodalite, Sugilite and Tangerine Quartz gem essences, together with the gentle, soothing and comforting Benzoin, Bergamot, Mandarin, Marjoram, Clary Sage, Helichrysum, Honeysuckle and Rose essential oils, and the "sacred-place, temple-like" mid and base notes of Frankincense, Cedar, Myrrh and Geranium oils. Inner Calm Orchid Angel spray is a complex mix of essences and oils, that are designed to calm excess negative emotions from anxiety, fear and worry to shock, fright, trauma, panic attacks and hysteria. The Archangels send their healing intentions through these orchid and gem essences to balance each of the chakras. The essential oils complement the actions of the Inner Calm essences. The essential oils of Helichrysum, Benzoin, Mandarin and Marjoram are well-known for releasing stress. Clary Sage and Rose are calming and sedative. Cedar and Frankincense overcome fear, and Bergamot, Marjoram and Mandarin overcome hysterical states. Geranium and Honeysuckle rebalance the emotions, following a traumatic experience. This Angel spray promotes tranquillity, stability and peace of mind. It aligns the physical body with the etheric, emotional and mental subtle bodies. It neutralises over-reaction and discourages violence, whilst promoting emotional calm and self-control in irritating or aggravating circumstances. It prevents one from being adversely affected by the strong negative emotions of others. It overcomes shock and instils comfort and peace of mind. It alleviates paranoia, panic and fear and instigates a positive attitude to life. Links to brain, nervous system, endocrine system, pulmonary system, circulation, calcium deficiency, I.B.S., muscle spasms, headaches, blood pressure, geopathic stress and E.M.F. protection, sciatica, neuralgia, joints, ancestral inheritance. Directions for use: Spray a little Inner Calm around the head, but avoid the eyes, nose and mouth areas. Or you can put a little on your hands to inhale. You can rub a little spray into the back of the neck and across the shoulders. Ask someone to spray right down your spine and then right across your shoulders from left to right, followed by a little gentle shoulder and neck massage. Joy Angel Spray contains Lemon and Pink Phalaenopsis, Phalaenopsis "sweet Memory", Yellow Cattleya, Oncidium "Sweet Sugar" and Pink Wanda Orchid essences, and Carnelian, Citrine, Chrysoprase, Dioptase, Merald, Peridot, Rose Quartz, Staurolite, Sunstone, Seraphinite, Tiger Iron, Tiger's Eyes, Tangerine Quartz, Gold and Golden Labradorite gem essences, together with the delightfully uplifting and totally delicious, floral essential oils of Rose, Honeysuckle, Champaca, Frankincense, Davana, Rosewood and Rose Geranium. Archangel Haniel offers a cheerful, child-like joy, Ariel oversees and guides Earth elementals, including fairies, pixies and elves, and Raphael oversees one's well-being. Just as if one has been sprinkled with a little magical sparkling fairy dust, this Joy Angel spray combination of essences and uplifting citrus and floral essential oils transforms ones mood, combating sluggishness and dispelling mental lethargy. This essence is particularly useful for those who often wake up feeling grumpy, sluggish and out of sorts. It helps to overcome feelings of irritability and thick-headedness, especially first thing in the morning. It promotes mental clarity and a positive attitude and a of enjoying being alive. In some cases the problem may be linked to low blood pressure, slow metabolism or toxic residues in the system. Whilst essences and essential oils can help problems on the subtle levels of one's being, it may also be helpful to support the physical body with the use of the herb Milk Thistle, to help the liver with detoxification, and perhaps some Siberian Ginseng to gently boost production of energy. (If necessary consult your nutritionist or physician). Joy Angel essence may also help to alleviate the emotional and mental challenges of those who are in the process of stopping smoking or coffee drinking. Keywords: - Justice, truth, fairness, good judgement, honesty, sincerity, insight, harmony, incorruptibility, integrity, wisdom, protection and honour. The Orchid essences included in Justice Angel Orchid spray are white Coelogyne, Angraecum, Cattleya, Phalaenopsis and purple Vanda, together with Aquamarine, Blue Topaz, Cherry Opal, Clear Calcite, Fire Opal, Fluorite, Haematite, Kyanite, Morganite, Rhodochrosite, Red Jasper, Rhodonite, Selenite, Smithsonite, Sodalite and Sunstone gem essences. In addition the Justice Angel Orchid Spray contains Cardamon, Cedrus Atlantica, Cypress, Benzoin, Frankincense, Myrrh, Pine, Black Spruce, Galbanum, Juniper and Vanilla essential oils, to cleanse the aura and instil incorruptibility, insightfulness and integrity. Its unique aroma is instantly uplifting and cleansing. It reminds one of walking through an evergreen forest, with top notes of gently soothing Benzoin and Vanilla, and a hint of gently spicy Cardamon. The aroma of Cedrus Atlantica oil is cleansing and herby, unlike the more well-known pencil-wood smelling Virginain Cedarwood. It promotes fair-mindedness, honour, integrity and strength. This is the closest Cedarwood we have to-day to the Cedar of Lebanon. King Solomon was responsible for causing the extinction of the Cedar of Lebanon, when he had so many cut down to build his temple and palace in Jerusalem. This building also acted as a court of justice. Did he know of its therapeutic effects upon the mind perhaps? Raguel is the Archangel of fairness and Justice, Michael is the Archangel of protection, Sandalphon is the Archangel of harmony, and Archangel Gabriel is the sacred messenger of truth. They defend those who are being, or have been, unfairly treated. The Archangels send their higher frequency energies through the dimensions into the Justice Orchid and gem essences and oils, to promote truth, honesty and justice, especially in legal situations. These essences and oils have a cleansing and opening effect on the throat and heart chakras. They overcome inertia, old patterns of repression, frustration, hesitation and a fear of revealing injustices that have been committed against oneself or others, in the present or the past. Use the spray to fight injustice, to resolve conflicts, to overcome discrimination and to reveal abuse and mistreatment. Use it to promote emotional balance, fairness and insight. Use it to support and protect one through times of stress and emotional turmoil. It eliminates mental confusion, and promotes calmness and clarity of mind in dangerous or upsetting conditions. It imparts hope, confidence, determination and perseverance, to get to the source of criminal damage done by others to oneself or others. It enhances memory, promotes incorruptibility, cuts through ignorance, dissolves illusions and helps one to see behind facades. It overcomes self-limitations or feelings of inadequacy. It helps one to access higher guidance from the angelic realms, particularly from Raguel, Sandalphon and Gabriel. It helps you speak the truth, and to stand up for your beliefs. It facilitates being heard and encourages open-mindedness and flexibility. It dispels old mental conditioning, guile, control mechanisms, closed-mindedness, judgementalism and bigotry. Justice Angel Orchid spray facilitates change and progress, helps to heal the inner child and alleviates the effects of emotional abuse. It enhances self-acceptance and self-esteem. It dispels victim consciousness, breaks self-defeating programmes, assists one in cutting ties to the past, and hleps one to detach from feelings of being disadvantaged. It helps to instigate new beginnings and to achieve major changes in one’s thinking, helping one to recognise that revenge is self-destructive, but that revealing the truth can protect others from harm in the future. Links to irritative problems, vision, brain, vocal chords, larynx, neck and shoulder problems, lymph and nervous systems. Directions for use: spray a little on one hand. Rub the hands together and inhale deeply three times. Then pass the hands through the aura. You can also spray a little on the crown chakra, or add a few squirts to an atomiser of warm water to spray round appropriate areas. This wonderfully empowering Leading Light Angel Spray is packed with very special Orchid and gem essences for pioneers and trailblazers, and those who want to become leaders in their chosen field. It promotes character strengthening, courage, assertiveness, leadership skills, the right use of power, vocal eloquence, confidence and visibility. It can also instil a drive to achieve fame or help one put ideas into action. It dissolves emotional blocks and vows of humility or silence. The actions of the essences in this spray are enhanced with the powerful, warm and spicy Biblical oils, that de-programme inappropriate mental and emotional conditioning in the cellular memory banks. Working with us through the yellow ray, Archangel Jophiel stimulates the will and one’s ability to turn ideas into reality. He dispels nerves and worry, and releases blocks to reaching one’s full potential. He shows one how to use personal power for the highest good, through the yellow Cattleya, yellow Phalaenopsis and Scapolite essences. Miltonia "Summerset" orchid essence (see picture above) promotes visibility. Scapolite breaks up limiting patterns, and aids one in finding and assuming one‘s power. It helps one to attain wealth and gain respect from others, as well as instilling self-discipline and organisational skills. Citrine stimulates the third chakra, the seat of personal will. It attracts success, removes destructive tendencies, and enhances individuality. It makes one less sensitive to criticism and overcomes fear of failure/fear of success. It promotes a positive attitude, and instils self-esteem and confidence. Sardonyx is character-strengthening, and Tiger’s Eye brings good fortune, overcomes discouragement and promotes the correct use of power. Archangel Chamuel offers the enhancement of personal power via Orange Cattleya, Odontoglossum Ingmar Durham Castle, Sunstone, Golden Topaz and Fire Opal essences. Golden Topaz facilitates self-empowerment and helps those who seek fame for their talents and unique knowledge. It instils a drive towards recognition, bestows charisma and benevolence, and attracts abundance and helpful people. It strengthens faith and optimism, stabilises emotions, and assists in overcoming limitations. Sunstone is an excellent essence to use in business dealings. It helps one to manifest one's desires, whilst being able to detach oneself from outside influences, and from feelings of being victimised or discriminated against. It also gives one the strength to say "no" when necessary, and enables one to release inhibitions and hang-ups. Archangel Gabriel works through the throat chakra with Phalaenopsis Malibu and Blue Lace Agate, to assist those people who have difficulty in being heard. Blue Lace Agate and Pietersite remove vows of silence and the mental programming has led to a subconscious belief that one should be seen and not heard. Blue Lace Agate, Pietersite and Sardonyx promote vocal eloquence, and assist those who have difficulty in expressing themselves, or who have a fear of public speaking.Archangel Michael offers protection against danger, via the white light of the snow-white Cattleya and the Fire Opal essences. Odontoglossum Ingmar Durham Castle offers strength, courage, vitality and endurance. Ruby shields against psychic attack. Tiger Iron sharpens the intellect, supports pragmatism, counteracts spaciness and confusion, and provides the get up and go to complete one’s goals. It also stimulates creative expression, especially in areas such as music and acting. Pietersite dissolves mental programming imposed in the past, such as a need to be invisible, and it releases vows, such as the vow of humility. Sardonyx promotes integrity and virtuous conduct. Fire Opal facilitates progress and releases inhibitions. Haniel instils compassion, hope and joy through the deep pink Phalaenopsis "Mad Milva" and the Magenta Cattleya Orchid essences. 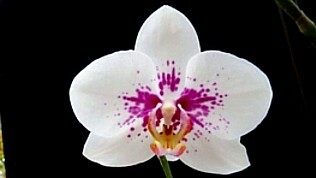 Uriel offers stamina, balance, endurance and strength of character via the red and gold Laeliocattleya Orchid essence. Ruby essence promotes dynamic and courageous leadership and encourages a passion for life. Tiger Iron keeps one grounded, calm and centred regardless of the situation, and also promotes practicality and physical action. The aroma of the essential oils contained in the Leading Light Angel Orchid and Gem spray is warm and spicy, with a citrus top note. There is the Cinnamon-like Cassia, which restores one’s drive to achieve, clears congestion and unblocks receptor sites on cells, for proper hormonal and enzyme circulation. May Chang and Grapefruit oils provide an uplifting, citrus top note for optimism and confidence. Myrrh promotes a sense of responsibility, and de-programmes cellular misinformation, such as inappropriate beliefs or mental conditioning. Frankincense releases fears from the past, and is deeply soothing and emotionally balancing. Together with Grapefruit, Frankincense re-programmes cellular memory with the proper information. The most appropriate place to spray Leading Light is on the crown chakra, as often as it is needed. It can also be sprayed on the hands. Rub the hands together and inhale through the hands three times. Then sweep the hands through the aura three times. Leading Light can also be sprayed on any of the chakras, behind the ears, on the soles of the feet or over the upper chest. The oils in this spray are meant to be powerful. Do not spray over the face, eyes, nose or mouth. If you have sensitive skin try this spray on the soles of the feet first. A warming sensation on the skin is normal. But have some vegetable oil ready, and if you experience a strong burning or itchy sensation for more than a short while, rub vegetable oil over the sensitised skin first, then wash off with soap and warm water. Do not use this spray if you are pregnant. Please use the Leading Light Orchid Angel essence instead. This florally-fragranced and popular Angel spray promotes joy of life, releases past regrets, and gently heals wounds of the heart. It can also be used if you are feeling jaded, overwhelmed or exhausted by the problems of everyday life. According to the 6th century Greek Christian theologian Dionysius, who put the various Angelic beings into heirarchies, Haniel is not strictly an Archangel, but is the leader of an Angelic group called "Principalities". Principalities are on a higher level than Archangels, with caretaker responsibilities for nations, cities, towns and places. In Cabbalisitic texts Haniel is credited with escorting Enoch to the 7th Heaven, to be transformed into the Angel Metatron. Haniel is known as the Angel of feminine comfort, who also helps to dispel destructive thought patterns. Haniel works through the pink ray of love (heart chakra), promoting the love of beauty, and helping us to enjoy life. He/she is also said to enable us to recover lost secrets of natural healing. Archangel Jophiel works through the yellow ray (solar plexus chakra) to release stress, and promote confidence and optimism. Loving Life spray is a soothing, floral combination of Honeysuckle, Palma Rosa, Rosewood, Rose and May Chang oils, together with Phalaenopsis and Paphiopedilum orchid essences, and Hiddenite, Morganite, Pink Calcite, Lavender Jade and Sugilite gem esences, to encourage zest and enthusiasm for life. Use it to promote self-worth, and to overcome anxiety and hopelessness. Use it when speaking in public for flashes of inspiration, and to remain centred and grounded. It can also be used with intent to draw harmony and loving friends into your life. Do not use this spray if you are pregnant. Please use the Angel Loving Life essence instead. This uplifting, honey-fragranced Prosperity Angel Spray is designed to attract abundance, with the assistance of the Archangels working for our benefit on the prosperity and happiness-enhancing rays of gold, red, yellow, orange and pink. Working through the physical channels of Orchid and gem essences and essential oils, one’s belief patterns can be changed to dissolve emotional blocks that prevent one from attracting wealth and luck. For example, a person who is brought up surrounded by poverty and scarcity, may come to expect that they will always be unsupported by the Universe. In the Western world we are also conditioned to think of the needs of the self last, and made to feel guilty if we don’t keep on blindly giving to others. For some members of the poorest communities a belief has been instilled that others will constantly support each of them. This can lead to disempowerment and a spiritual disconnection in an area of the crown chakra. The result is an inability to expect or to be able to receive, or in the case of those expecting to feed off others for nothing in return, there is an inability to take the opportunity to release oneself from a dependency upon others. Anauel is the Angel of Prosperity. She works in harmony with Archangel Uriel on the red and gold rays. Anauel attracts success, opportunities and helpful people for wealth-creating, and also protects us from random financial misfortune. Uriel shifts apathy, instils drive, and helps one to overcome challenges. Through the red and gold Cattleya Orchid essence (see "Alma Kee" Cattleya picture above), the red and gold Laeliocattleya Orchid essence and the Pietersite gem essence, Anauel and Uriel are able to remove the emotional and mental blocks that prevent us from attracting prosperity and abundance. This enables us to be able to carry out our planned life purpose to the full. Pietersite gem essence removes beliefs and conditioning imposed by others and overcomes vows of poverty, and Ruby essence attracts wealth and instils drive, enthusiasm and courage. Archangel Jophiel promotes optimism and positive expectations. He instils the desire to be the best one can be. He channels the positive aspects of the yellow ray into one’s solar plexus chakra, via the bright yellow Ondontocidium "Golden Trident" Orchid essence and the Citrine and Yellow Sapphire gem essences, to increase one’s earning potential and the desire to do better for oneself. Citrine also helps one to hold onto the money earned. 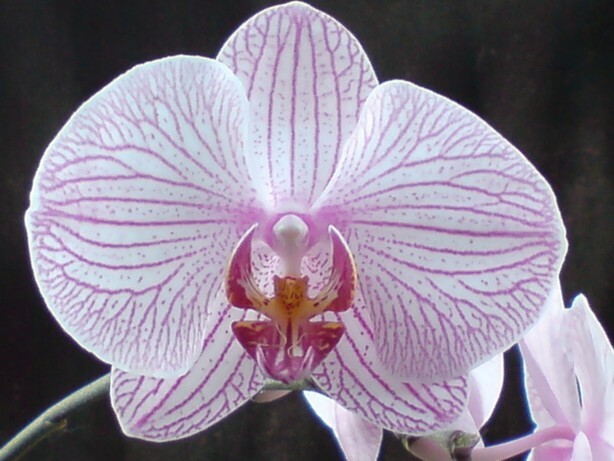 Archangel Haniel works on the pink ray via the vivid, magenta Phalaenopsis "Mad Milva", to encourage benevolence towards others, instil self-respect and to promote a passion for life. Archangel Chamuel works on the orange/peach ray to promote a sense of security. Through the Orange Cattleya and Odontoglossum "Ingmar Durham Castle" Orchid essences, together with Golden Topaz and Citrine gem essences, Chamuel helps to manifest ones’ desires and attract wealth. Topaz is regarded as a stone of good fortune. Its essence attracts helpful people and assists in overcoming limitations. Copper and Moss Agate gem essences attract situations and business opportunities for potential wealth-making. Through the desire to have one's wishes met, these orange Orchid and gem essences reactivate one’s spiritual connection at the crown chakra, to strengthen trust in the Universe that all one’s needs will be met, as and when required. Moss Agate and Peridot gem essences release fear and old emotional baggage. They bring stability, self-esteem and success in one’s career endeavours. Peridot removes blocks to receiving, and expands one’s ability to receive from the Universe.The wonderful empowering oils added to the Prosperity Angel Orchid and gem essences are meant to have a strong healing effect, to quickly shift emotional and mental blocks, and so enhance the beneficial, but more gentle effects of the essences. If you have sensitive skin or are pregnant, please use the Prosperity Essence instead of this oil-containing spray. Prosperity Angel Orchid and Gem Essence Spray contains precious Jasmine essential oil to instil a desire for achievement, and to alleviate apathy and anxiety. Benzoin, Vanilla and Lime oils promote confidence and overcome disillusionment. Myrrh instils a sense of responsibility for oneself and de-programmes emotional cellular misinformation. Cedrus Atlantica removes blocks to learning. Camphor brings self-forgiveness for mistakes made in the past, and Mandarin helps to shed a belief that one is a victim of life. Bergamot banishes feelings of jealousy and envy. Frankincense releases fears from the past and re-programmes cellular memory with the proper, unbiased information. Avoid using this spray over the face, and especially over the eyes, nose and mouth. The simplest way of using Prosperity Spray is to spray a little on one hand. Then rub the hands together, inhale through the hands three times, and finally pass the hands three times through the aura. If you feel unsupported by the Universe, spray Prosperity Angel over the crown chakra and/or in the region of the coccyx, or over the solar plexus reflex area in the middle of the soles of the feet. The essences and Biblical oils combined in Prosperity Spray can be used for overcoming issues regarding one’s parents or the past, overcoming fear of the unknown, and to clear mental blocks against learning. (This information comes from David Stewart’s "Healing Oils of the Bible" book). Spray a little Prosperity Angel onto the fingers of one hand. Then rub those fingers over the top of the right ear, the tip of the right thumb, and the tip of the right toe. Repeat as often and for as long as you feel you need to. The first time, at least, when you use the Spray in the way described above, you may get a little short-term tingling or slight itching, but not an unbearable sensation, at one or more of the places the Spray has been applied to. This is a sign of release and rebalancing taking place. If you have sensitive skin, but decide to try this Angel Spray, please test it on the palms of your hands or on the soles of your feet first. If you experience any unpleasant tingling or irritation for more than a few minutes, rub some vegetable oil on the spot to dilute oils, and then wash off with soap and warm water. You may wish to repeat the above procedure later, but mix a few squirts of Prosperity Spray with around one teaspoon of vegetable oil first, before applying it to the hands or soles of the feet, as suggested above. This release Angel Orchid and Gem essene Spray contains white Cattleya, white Phalaenopsis, Beallara Peggy Ruth Carpenter, purple, white and Green Dendrobiums and pink Vanda orchid essences, and Ametrine, Azurite, gree Calcite, Chrysoprase, Danburite, Hemimorphite, Larimar, Peridot, pink Petalite, Rhodonite, Rutilated Quartz and Smithsonite gem essences.Release Angel Spray contains the warm spicy oils of Aniseed, Cassia, Cinnamon and Clove, together with the herbaceous and resinous aromas of Camphor, Cedrus Atlantica, Cypress, Fennel, Frankincense, Hyssop, Peppermint, Pine, Rosemary, together with a hint of citrussy Grapefruit and Lemon oils. KEYWORDS: Liberating, releasing, cleansing, purifying, letting go, leaving the past behind, releasing old baggage, emotional wounds, programmed beliefs and repetitive negative experience damage from past lives and the more recent past, neutralising inner child damage, ancestral and family belief patterns, past-life relationship difficulties, self-imposed blockages and restraints, removing entities, tie-cutting, releasing fears and obsessive behaviour, emotional body strengthening, calming argumentative behaviour and explosive outbursts.The base notes of the Camphor, Peppermint and Rosemary oils provide this powerful Angel Release Spray with its oomph. Fennel oil offers a hint of liquorice, the Grapefruit and Lemon provide a gentle citrus top note, and the Aniseed, Cassia, Cinnamon and Clove oils add such a deliciously spicy aroma, it smells almost good enough to eat! But the oils don’t just add a wonderful aroma to the essence combination. We are so grateful to know about the healing biblical oils of Cassia, Cinnamon, Clove, Cedrus Atlantica, Cypress, Frankincense and Hyssop through Dr. David Stewart, which remove negative behaviour patterns, by cleansing cellular receptor sites, deprogramming cellular misinformation and reprogramming the behavioural DNA back to factory settings. Clove, Cypress, Frankincense and Peppermint oils offer protection from negative energies that interfere with our emotional and mental well-being, and Cedar, Cypress and Rosemary promote emotional stability. Grapefruit, Fennel, Frankincense and Peppermint are releasing, and Camphor, Cypress, Fennel, Juniper, Lemon, Pine and Rosemary are cleansing and purifying. Cedar calms explosive anger. The essence and essential oil combination in Release Angel Orchid and Gem spray is primarily for facilitating deep change in the way we react to a given stimulus. Each one of us creates our reality by our thoughts, attitudes and beliefs. These become ingrained as miasms and mental imperatives in present and past lives through repetition of negative stimuli, to emerge as irritating or damaging negative personality traits. If you read Candace Pert’s "Molecules of Emotion" or Bruce Lipton’s "Biology of Belief" books, they broadly suggest that all cells have a consciousness, and that they hold memories of emotional upsets in their receptor sites. When a traumatic experience is large or repeated many times, this creates a fixed pattern of endorphin messengers to forever hit the cellular receptor sites every time that particular experience is repeated, thus creating an automatic, instinctive-like response to the stimulus. This is the reason why a person has the same strong, and sometimes increasingly stronger, reaction each time one of their emotional "buttons" is pressed. The orchid and gem essences in the "Release Angel essence spray" combination facilitate a transformation in the personality, by neutralising the old negative emotional programming and rigid belief patterns. They raise the consciousness to open, cleanse and activate the heart and solar plexus chakras, in order to change recalcitrant attitudes, and reframe irritating and ingrained traits. They help to alleviate the effects of emotional abuse and misuse from the past, by neutralising the energetic root cause of the emotionally damaging trigger. Examples include abandonment, betrayal, lack of love or emotional manipulation, or the creation of negative belief patterns, such as "you're stupid, clumsy, fat, ugly, horrid, worthless" etc. When under great stress, some people turn the least inoffensive comment made by their loved ones into an opportunity for an argument or an explosive outburst of aggression. Their partners or loved ones may find Release Angel essence Spray helpful in strengthening their emotional bodies, to protect themselves from emotional harm, and also for the person who is exhibiting the argumentative and aggressive behaviour. Others retreat into depressive states or exhibit self destructive or attention-seeking behaviour. This Angel spray combination clears the meridians, calms anxiety, excessive fear and explosive anger, and removes self-imposed constraints. It promotes emotional equilibrium, soothes dark moods, discourages impulsive and compulsive thoughts and actions, and counters self-hatred. It removes entities and negative behaviour patterns, and protects one against psychic attacks and negative outside influences. Release Angel spray dissolves energy blockages to soothe away past-life relationship difficulties and heartache. It cleanses and re-energises the aura, promotes emotional flexibility and strengthens the ability to overcome setbacks. Confidence and assertion, without aggression are enhanced, as old baggage, argumentativeness, emotional violence, spite, resentment, jealousy, guilt and loss of self-worth are shifted. Release spray also helps one to stop blaming others for one's own mistakes. It promotes self-forgiveness for past misjudgements, so than one can move on, feeling empowered in making the most positive use of what their life experiences have taught them. Directions for Use: Like many of the Gaia Essence Angel Sprays this combination contains many powerful oils for a powerful effect, and so it should not be sprayed through the aura, in case some spray gets in the eyes or mouth. Rub a little on the palms of the hands, hold your open hands up in front of your face and take three slow breaths in and out through your nose. Then sweep your hands through your aura. It is also recommended that you rub a little Angel Release spray onto the soles of your feet, or put a little on a tissue and inhale the Angel Release spray. Always test out Gaia Angel sprays on your palms or soles of your feet first, to make sure that you are not over-sensitive to them. If you experience any unpleasant strong tingling, itchiness or a rash, wash off it immediately with soap and warm water. You can add a few drops to warm water in an atomiser and then use it on your palms or soles of your feet if you have sensitive skin. Please use the Release essence instead of this spray if you are pregnant or suffer from asthma. The combination of orchid and gem essences in Revive Angel Spray include Laelio-Cattleya Rojo, Orange Cattleya, yellow and deep red Oncidiums and Crimson Miltonopsis orchid essences, and Citrine, Copper, Gold, Golden Labradorite, Labradorite, clear Quartz, Petalite, Pyrites, Red Calcite, Red Jasper, Ruby, Thulite, Tiger Iron, Topaz, Vanadanite, Vivianite and Zincite gem essences. The warmly spicy and powerfully uplifting essential oils of Aniseed, Basil, Bay, Cinnamon, Cumin, Grapefruit, Orange, May Chang, Pimento, Pine and Spearmint have been added to complement the actions of the rejuvenating combination of essences in Revive Angel Spray. Keywords: - Revival, energising, enlivening, invigorating, stimulating, recharging, vitality, pick me up, action, enthusiasm, motivation, positivity, dynamism, drive, assertiveness, achievement, courage, willpower, stamina, emotional recovery, passion, fortitude, motivation. Personal energy protection. Blocking energy leaks. Grounding. Overcoming lethargy, psychic attack, and emotional and mental fatigue.This Revive Angel Orchid Spray works on the lower three chakras, through the higher frequency red, orange and yellow healing rays of Archangel Uriel, Chamuel and Jophiel. It is warming, revitalising, uplifting and grounding. It stimulates dynamism, drive, assertiveness, enthusiasm for life, personal empowerment, courage and fortitude. It removes apathy, stagnation and weakness. It encourages one to take action and establishes a "can do" attitude. But it also can be helpful for those who have being overdoing things, are suffering from hyperactivity, or are exhausted due to over-exertion of the mind or emotions. It promotes purposefulness, self confidence and self-esteem, and removes blockages that prevent one from moving forward in life, so that one's goals can be achieved. It realigns the meridians and activates and energizes one's energy centres with high frequency light from spirit. It protects one’s energy against psychic attack, stimulates emotional recovery from setbacks, trauma or imbalance, and closes energy leaks in the aura. It promotes the desire to enjoy life, and provides the passion, courage, focus and willpower to manifest one’s desires, and the discipline to carry one’s goals through to completion. Links to hormone balance, adrenals, kidneys, gall bladder, spleen, nervous system, oxygen supply, eyes, circulatory and respiratory systems, nervous exhaustion, nerve tonic, lymph, bones, blood, detoxification, cellular regeneration, menopause, metabolism and reproductive organs. Directions for Use: -As with most Gaia Essence sprays, Revive spray is designed to be used sparingly at any one time, although you may use it as often as you like. There is no need to spray it all through your aura. Instead spray a little on your inner wrist or the palm of one hand. Rub your wrists/palms together and breathe in the aroma three times, very gently and slowly, breathing in and out through your nose. Then pass your hands through your aura. You can also spray a little on your crown chakra, the base of your spine or on the middle of the soles of your feet. If you did want to spray Revive through your aura it is best to add a few squirts to an atomiser containing some warm water, as the concentration of real essential oils in this Angel spray is strong. Avoid getting the spray in your eyes or mouth, or other sensitive areas. Always check on a less sensitive area, such as the palms of your hands or soles of your feet first, to make sure you don’t have a sensitivity to any of the oils contained in the spray. If, in the rare case that your skin is sensitive to the spray, wash it off immediately with warm water and soap. You can spray the oil on a handkerchief to inhale instead. Security Spray is a combination of confidence-promoting Lime, Mandarin, Rose, Patchouli, Benzoin and Rosemary oils, together with Adaglossum, Maxillaria and Cattleya orchid essences, and Smithsonite, Garnet, Chrysoprase, Moss Agate, Muscovite, Citrine, Topaz, Larimar and Heliotrope gem essences. In the New Testament Archangel Chamuel is credited with being one of the angels who comforted Jesus in the Garden of Gethsemane. Chamuel works through the peach ray (sacral chakra) and represents divine justice, personal power and invincibility. He is one of the governing angels of the seven planets. This Angel spray promotes inner security, especially where one’s upbringing has been lacking in parental love or financial security. Chamuel can lift you out of a sense of profound hopelessness. He promotes self-nurturing and gently soothes away emotional traumas from the past, which are held in the sacral chakra. He can show us how to make reparation for negative karma, and he assists in career matters and world peace. Gabriel (throat chakra) communicates the inner knowing and belief that your needs will be met. Security Angel spray rebuilds security, dispels hopelessness and aligns the chakras. It heals the need to be loved by reconnecting one back to the Earth’s unity consciousness grid. It breaks up ancestral patterns in the DNA that have led to feelings of chronic unworthiness and lack of self-esteem. This spray instils appreciation for the things you have in life, dispels defeatist or judgemental attitudes, hard heartedness or cynicism, and also promotes a "you can do it" attitude, self-esteem, courage, optimism and the belief that it is possible to be in the right place at the right time in order to achieve your positive desires. Do not use this spray if you are pregnant. Please use the Angel Security essence instead. Self-Belief Angel Spray is a deeply empowering combination of Red, Orange and Yellow Brasolaeliocattleyas and gold Encyclia Orchid flower essences, together with Citrine, Crocoite, Cuprite, Erythrite, Eudialyte, Pyrite, Golden Labradorite, Ruby, Sodalite, Sunstone, Himalaya Red-Gold Azeztulite, Imperial Topaz and Vanadanite gem essences. To this essence mix a very special combination of Balsam Fir, Frankincense, Rosewood, Palo Santo, Patchouli, Peppermint, Oregano, Pine and Rosewood essential oils has been added. The overall effect of this combination provides a wonderfully clarifying, empowering and therapeutic effect on the mind. The Patchouli, Fir and Oregano oils provide a herby, coniferous forest undertone. Peppermint and Frankincense oils provide "a kick" at the back of the nose and sinuses, and the whole aroma is rounded off with the pleasantly light pine and honey fragrances of the Rosewood, Palo Santo, Pine and Balsam Fir oils. Palo Santo is a relatively newly discovered oil from Ecuador. It is used by the shamans of the region for emotional release, to instil calmness and to clear the head. It counteracts panic attacks, anxiety and feelings of hopelessness.The primary purpose of Self-Belief Angel Orchid and Gem essence spray is to help you realise your true potential It overcomes any limiting beliefs or emotional blockages that would impede the achievement of that goal. Archangels Uriel, Chamuel, Jophiel and Michael work though the colour rays of the high frequency Orchid essences to balance and clear the Base, Sacral, Solar Plexus and Third Eye chakras, and fill them with feelings of courage, faith, self-belief, curiosity and a spirit of adventure, so creating a free flow of energy and ideas. This orchid and gem combination brings light and prana into the lower chakras from the higher chakras, to instil vigour and passion for life, to promote personal empowerment and to bring in feelings of self-assurance and self-worth. Sunstone gem essence is excellent for business dealings. It removes inhibitions and hang-ups, promotes optimism and enthusiasm, overcomes pessimism and reverses feelings of having been a failure. Citrine, Topaz and Himalaya Red-Gold Azeztulite stimulate the 1st, 2nd and 3rd chakras to increase one’s life-force. They promote self-confidence and perseverance through adversity, as well as removing self-destructive tendencies. Crocoite, a strongly coloured, scarlet-orange gem, helps one to manifest desires more easily. It inspires writers, artists and musicians, as it energises the creative process and breaks through emotional and mental blockages. Cuprite, a striking deep brick-red mineral, provides the stimulus to "feel the fear and go and do it anyway". Erythrite and Eudialyte instil inner strength, self-love and personal empowerment. Pyrite promotes dynamism and a "can do" attitude. It also overcomes inertia and feelings of inadequacy. Ruby eliminates feelings of hopelessness, defeat and self-doubt. It instils determination, adventurousness, extrovertion and a passion for life. Sodalite essence eliminates mental confusion. It also stimulates the pineal gland to unite intuition with logic and increase the accuracy of one’s hunches. Topaz helps one to recognise one’s talents, sets great plans in motion and overcomes limitations to achieving personal goals. Vanadanite draws in prana and higher light frequencies for providing stamina and grounding for energy healers, psychic channelling or mediumship work.Please look under the "Benefits of using Essences and Sprays" section on the top left hand side of the home page, to see photo proof of some of the benefits of using Self Belief Angel Orchid Essence spray. Directions for use: For general use rub a little on the pulse points behind the ears. You can also put a little on the pads of your thumbs and index fingers. Then, placing your thumbs behind the outer ridges of each of the earlobes and your index fingers on the upper surface of each of the outer earlobe ridges, massage them up and down the ear ridges to balance and clear many of the body’s meridians at once. This has a clarifying and empowering effect. The essential oils used in this spray are suitable for both men and woman. Self-Belief Angel Spray specifically makes use of mid and base note non-floral aromas, that have a beneficial effect on the mind and emotions, without being too strong or obvious to anyone other than yourself. So Self-Belief Spray can be used on the ears, as described above, for a rapid beneficial effect before going into important business meetings or when taking exams. A little of this spray can be rubbed on the throat chakra and the top end of the spine where it meets the skull, before making important phone calls or decisions. For clarity, enlightenment and alleviating fuzzy- headedness rub a little spray on your hands and then inhale/exhale three times through your hands (avoid letting your hands touch your face). Then pass your hands through your aura from above the top of your head down to underneath your feet. You can also rub a little spray over the temples and rub it in a clockwise direction over the third eye in the middle of the forehead, for inspiration and help with creative pursuits. (NB: Do not spray over the face, so you avoid getting the spray in the eyes, nose or mouth). It is much better to put a little spray on the hands or fingers and apply where needed, rather than spray over the facial area and risk getting some spray on sensitive areas. Rinse with warm water immediately should you inadvertently get any spray in your eyes, nose or mouth.) To remove emotional and mental blocks or limitations from the past, rub a little of the spray on the top of the right ear, the top of the right thumb and the top of the right big toe, at least three times daily. For anxiety and fear rub a little spray around the solar plexus chakra in a clockwise direction. For base chakra issues, such as apathy, insecurity, fear of moving forward, or a lack of stamina or spirit, rub a little spray over the soles of the feet on a regular basis. This Angel spray is another of the best sellers in this range. With the help of Archangels Michael for protection, Raphael for healing and harmonising frequencies, and Zadkiel for sealing auras and places against psychic attack, Space Harmoniser spray dispels negative vibrations in your aura, home or work space, and promotes a positive atmosphere. Space Harmoniser spray is a combination of invigorating, purifying and protecting Cardamom, Lime, Spearmint, Lavender, Myrrh, Hyssop and Frankincense oils, together with Beallara, Cattleya, Dendrobium and Wanda Orchid essences, and Halite, Jet, Moss Agate, Smoky Quartz and Amethyst gem essences. Space Harmoniser spray cleanses the atmosphere of unpleasant energies, strong negative emotions, thought forms, negative psychic interference and electromagnetic smog. It instigates lightness, positivity and a feeling of well-being and security. For the most economical way to use this spray over a large area add around three squirts of the liquid to a small atomiser of warm water. Spray this at the doorway and in every corner of the area that needs it at regular intervals, as required. You could also spray a little on both hands and either clap three times in each corner, or draw the Reiki power symbol over yourself, in the doorway and in each corner of the room to be harmonised. Directions for use: To cleanse your aura squirt a small amount on one hand. Rub your hands together, and then breathe through your cupped hands three times, before sweeping your hands through your aura. It is also beneficial to finish the aura sweep with a movement of your hands from the base chakra up to above your top lip. Do not use this spray if you are pregnant. Please use the Angel Space Harmoniser essence instead. This Angel Spray, with the help of Melchizedek and Metatron, promotes a positive outlook on life and dispels gloominess, pessimism, depression and a loss of hope. Melchizedek and Metatron, although described as Angels of Light are not strictly Archangels. Melchizedek was a high level ancient spiritual master who taught Abraham. The order of Melchizedek is an ancient mystery school thought to have been started by the Essenes (of whom Jesus was a member) in order to pass on the teaching of Melchizedek. The Melchizedek teachings are for showing initiates how to achieve Ascension. Metatron is linked with sacred geometry and was thought to have been Enoch, who was taken up to the 7th Heaven, to be rewarded with a pre-eminent position amongst the Angels. As Enoch he was a researcher of heavenly secrets, and as Metatron he is said to have led the Jews through the wilderness to the promised land. Melchizedek facilitates the delivery of the source/Christ energy, via the language of light, into the higher chakras above the head, down into the denser realms and physical DNA, with the help of the fiery geometric codes of Metatron. Metatron helps you to find your own inner power and Melchizedek promotes the integration of higher light frequencies into your being. The colour rays associated with Melchizedek and Metatron are gold, purple and silver. The Angel Light bringers spray is a combination of uplifting and tangy citrus oils of Lime, Lemon Verbena, Citronella, May Chang, Tulsi, Helichrysum, Frankincense and Grapefruit, together with Zygopetalum, Cattleya and Oncidium orchid essences, and Phenacite, Diamond, Gold, Selenite, Lapis and Opal gem essences, for clearing subtle energy blocks to allow beneficial higher light frequencies to flow in. This spray is a powerful ally when one is experiencing the dark night of the soul. It helps one to endure difficult circumstances with grit and determination, whilst removing negative energy and protecting one from others’ negativity. Directions for use: Put a little of the spray on one hand. Rub the hands together and breathe three times through your cupped hands, before sweeping them through your aura. You can also rub a little on your solar plexus chakra and/or the soles of your feet. Do not use this spray if you have very sensitive skin. Please use the Angel Light Bringers essence instead.